Following a very successful petition conducted by the government of Somaliland, which called for the country’s international recognition after 25 years of independence and which was signed by over 1 million Somalilanders, the topic seems to have reached the United Nations Security Council’s agenda. Asked about whether he was aware of this petition, the UK’s Ambassador to the United Nations, Matthew Rycroft, said that the issue would be “pursued”. 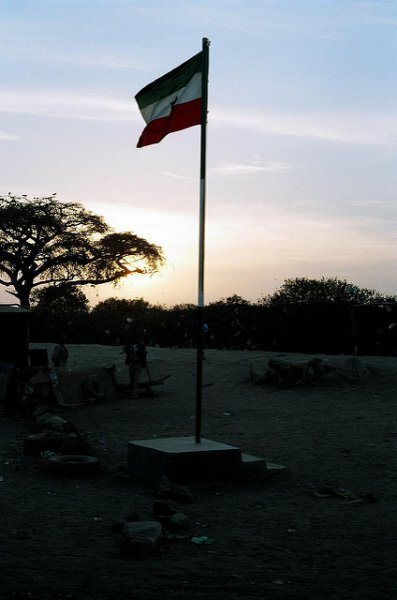 This is only the latest of a series of positive signs, suggesting that the international community is slowly realising the reality of Somaliland’s self-determination. Inner City Press: Ambassador, is the Council working on anything on Somalia and the terrorist attack in Puntland? And are you aware of this Somaliland petition that supposedly asks for recognition of Somaliland as independent with a million signatures? Amb Rycroft: I will get back to you on both of those things. We did have a presidential statement on Somalia, which set out the Security Council’s disappointment with the delay with the elections. That was the last action on Somalia that we had here. But as pen holder, we will pursue both those points. As noted, the Security Council Presidential Statement doesn't mention Somaliland. And while the US on August 21 condemned the attack in Puntland, the UN and its Security Council have yet to. Watch this site. Earlier this year when UN Relief Chief Stephen O'Brien came to answer questions on February 9 about the UN's report for the upcoming World Humanitarian Summit, Inner City Press asked him why his Central Emergency Relief Fund gave funds to Ethiopia but not Somaliland, given FAO's finding of drought. Video here. O'Brien answered that aid access in Yemen is key, and said there is no legal impediment to CERF funds for Somaliland. We'll have more on this.